Conspiracy theories, while not unique to the Middle East, are a salient feature of the political discourses of the region. Strongly reflecting and impacting on state-society relations and indigenous impressions of the world beyond the region, they affect how political behaviour within and among the states of the region is situated, structured, and controlled. Discounting the common pathological explanation for conspiracism, the author argues that a complex mix of political factors account for most conspiracy theories in the contemporary Arab world. The author argues that the region’s modern history, genuine conspiracies, the complex and oftentimes strained relationship between state and society, the role of the state and the mass media as conspiracy theorists, and the impacts of new technologies have all helped to develop and sustain conspiracist narratives. 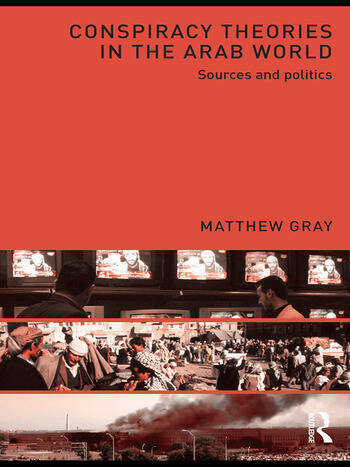 Drawing on a range of examples and cases, including the impacts of globalization, economic reform, weak state legitimacy, the war in Iraq, the Arab-Israeli issue, the rise of political Islamism, and internet and satellite television, the book illuminates the complex sources of conspiracy theories. Providing a comprehensive overview of this controversial topic, this book will appeal not only to students and scholars interested in Middle East studies, political science, globalization and conspiracy theories, but to anyone seeking an understanding of the region’s complex economic, social, and cultural dynamics. Matthew Gray is Senior Lecturer at the Centre for Arab and Islamic Studies at the Australian National University, Canberra, Australia. His research focus is the politics and political economy of the contemporary Arab world, and he has published widely on these in academic journals and edited books.